Naima Green is an award-winning photographer, artist, and arts educator. 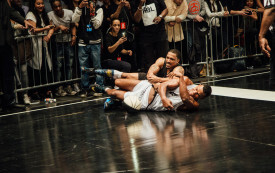 For Fightball players, the game is a mix of endurance and skill. For the audience, there’s a mix of spectacle, glamour, and drama.